The Paul G. Allen School at the University of Washington is celebrating an unprecedented total of six NSF CAREER Awards earned by faculty members in 2017. The National Science Foundation Faculty Early Career Development Program is the agency’s most prestigious category of awards and is designed to recognize and support junior faculty who exemplify the role of teacher-scholars and successfully integrate education and research. The six recipients are engaged in research that will advance core and emerging areas, with projects focused on theory, data management, programming languages, security and privacy, computer vision, and human-computer interaction. But the impact of their work will extend far beyond the field of computing. Through the development of new principles, tools and processes, they are laying the foundation for future advances in health care, transportation, education, and more. Professor Alvin Cheung works with the Database and Programming Languages & Software Engineering (PLSE) groups on research into program analysis, program synthesis, and building large-scale data management systems. He earned a CAREER Award for his proposal “Generating Application-Specific Database Management Systems” to automate the process of domain specialization in database management systems (DBMSs). 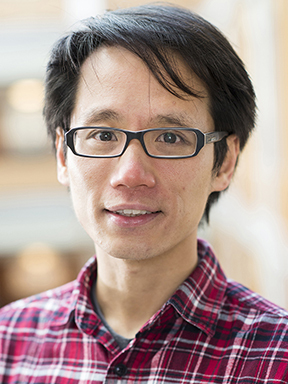 Cheung will leverage recent advances in programming systems and data management to build tools that automatically understand database application semantics — streamlining what is currently a complex and error-prone process to improve a variety of applications that rely on DBMSs, from banking, to social media, to scientific discovery. Cheung will make the tools he develops and the data he gathers on the performance of real-world database applications publicly available for the benefit of other researchers and practitioners in the field, and some of his preliminary results will appear in upcoming data management and programming systems conferences this year. Ali Farhadi is a professor in the Allen School’s Graphics & Imaging Laboratory (GRAIL), where his research spans computer vision and machine learning, and a senior research manager at the Allen Institute for Artificial Intelligence in charge of Project Plato. Farhadi received a CAREER Award for “Active and Action-Centric Visual Understanding,” a project that will enable computers to develop a more human-like understanding of actions and their consequences in order to improve their ability to plan and perform tasks. Farhadi aims to create a framework that supports active visual understanding accompanied by new data sets and algorithms that address several fundamental challenges at the intersection of computer vision and artificial intelligence. 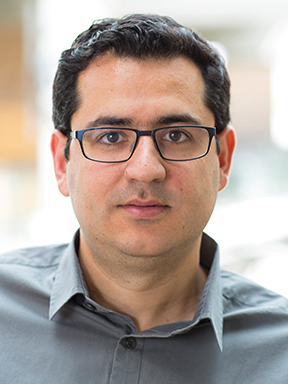 Farhadi’s work will open up new research directions in computer vision, robotics, and AI while enabling real-world applications in areas such as health care, elder care, education, and entertainment. 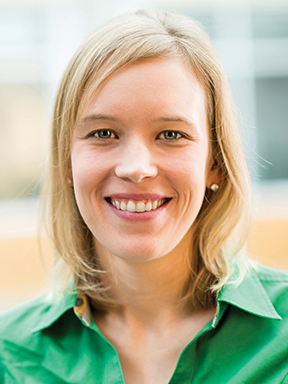 Professor Katharina Reinecke is a researcher in human-computer interaction and co-founder of LabintheWild, a virtual lab for conducting large-scale behavioral studies online to understand how people’s interactions with technology are influenced by cultural background, demographics, and geography. She won a CAREER Award for her proposal “Data-Driven User Interface Designs for Culturally Diverse Groups,” in which she will use data collected through LabintheWild to develop new guidelines and tools for the development of culturally-specific web interfaces. Reinecke will analyze data comparing human perception among users in at least 30 countries in order to produce a set of best practices for user interface designers and create predictive models and other tools that will support the automated adaptation of web interfaces for different groups of users. Through this work, Reinecke will increase access to technology and user satisfaction among people of varied backgrounds while contributing vital new knowledge in the realms of visual perception, cultural psychology, adaptive interfaces, and human-computer interaction. 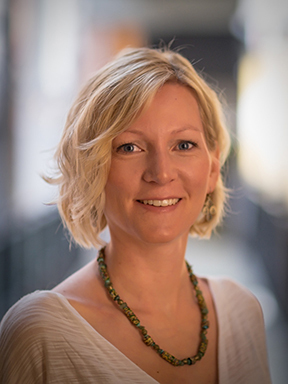 Professor Franzi Roesner is co-director of the Allen School’s Security and Privacy Research Lab. She has devoted her early career to analyzing and developing solutions for security and privacy risks associated with existing and emerging technologies, considering both system design and human factors. With her CAREER Award “Towards Secure Augmented Reality Platforms,” Roesner is setting out to explore a new frontier in security, privacy, and safety for end users. Augmented reality (AR) is on the verge of widespread commercial viability for a range of applications, from entertainment to transportation, but the overlay of digitally generated audio, visual, and haptic feedback on users’ perception of the physical world could make these technologies vulnerable to malfunctioning or malicious outputs. Roesner’s research will identify potential risks associated with AR technologies and offer a strong technical foundation to guide the industry in developing AR platforms that combine rich functionality with strong safeguards for users — ensuring that people are able to enjoy the benefits of AR while mitigating risks to their privacy and security. 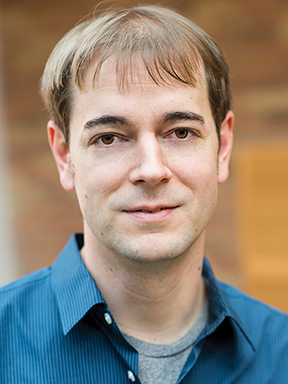 Thomas Rothvoss is a professor in the Allen School’s Theory group with a joint appointment in the UW Department of Mathematics. He received a CAREER Award for his proposal “Approximation Algorithms via SDP Hierarchies,” which aims to design new and better approximation algorithms to address several well-known, outstanding problems in combinatorial optimization, including the Directed Steiner Tree, Graph Coloring, Unique Games, and Unrelated Machine Scheduling problems. The new algorithms will be based on the Lasserre semidefinite programming hierarchy — a hierarchy that remains poorly understood outside of theoretical computer science circles. The implications of Rothvoss’ research and teaching will extend far beyond his own field. In tackling these fundamental problems of computation, Rothvoss is also tackling the problem of how to efficiently process and extract value from vast quantities of data — one of the most pressing issues facing the scientific community and a host of other industries. 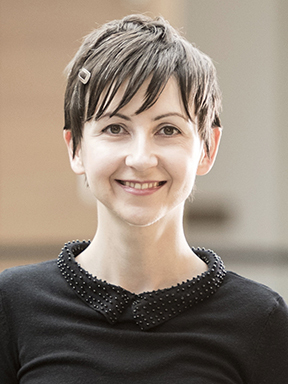 Professor Emina Torlak focuses on the development of new programming languages and tools for software verification, synthesis, and computer-aided design as a member of the Allen School’s PLSE group. She received a CAREER Award for her project “The Next 700 Solver-Aided Languages,” which proposes a novel approach to programming that involves automating domain-specific languages (DSLs) with solver-aided tools for verification and synthesis. Such tools help developers build better software more easily, by finding critical bugs in existing code and creating new code that is bug-free and performant by construction. Typically, tools for verification and synthesis must be hand-crafted and hand-tuned by computer scientists — a laborious process requiring expertise in many fields. Torlak aims to simplify this process and enable experts and non-experts alike to quickly build, profile, and optimize solver-aided tools. Torlak’s research will extend the benefits of solver-aided programming to facilitate the creation of new software applications in a variety of domains, from scientific research, to health care, to education. This latest round of CAREER Awards brings the Allen School’s total to nine awards in just two years, following wins by Maya Cakmak (robotics), Su-In Lee (computational biology), and Shayan Oveis Gharan (theory) in 2016. A total of 38 current Allen School faculty have been recognized with a CAREER Award or its predecessor, the Presidential/NSF Young Investigator Award. Our performance in this competition and in the Presidential Early Career Awards (PECASE) program — in which professors Emily Fox, Shwetak Patel and Luke Zettlemoyer were recent honorees — demonstrates the strength of our rising young faculty in setting the future direction of computer science education and research. Congratulations to Alvin, Ali, Katharina, Franzi, Thomas and Emina!